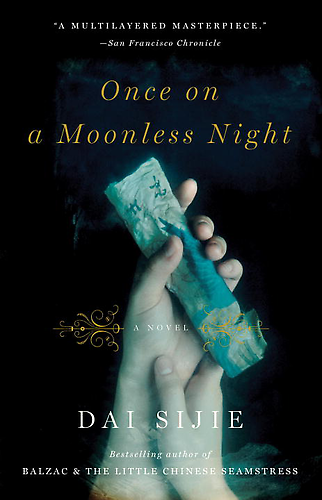 Currently Reading: Once On A Moonless Night by Dai Sijie, trans. Adriana Hunter. New York: Anchor Books, 2009. This post is a little later than I had hoped, but for good reason. I found Dai Sijie’s novel Once On A Moonless Night rather challenging. There are so many stories within stories in this novel that I will have to read it two or three more times before I become comfortable with all of the different story lines and the ways in which they flow together. Having said this, I look forward to rereading the book. Dai Sijie is a masterful storyteller and his writing style comes to bear on all the senses such that you are beguiled into imagining something as clichéd as a sunset in completely new ways (see page 76 for a Beijing sunset described as/through vegetables). Dai’s writing ability is all the more astonishing when you consider that he is Chinese but writes in French and this novel, like his two previous works Balzac and the Little Chinese Seamstress (2001) and Mr. Muo’s Travelling Couch (2005), was skillfully translated into English by Adriana Hunter. The main story swirls around the adventures of an unnamed narrator. She is a budding young language and literature scholar from France who is living in the “Peking” of the late 1970s that suffered the aftermath of the Cultural Revolution. Her adventure begins when she hears the story of a lost sūtra that starts with the phrase “Once on a moonless night,” giving the novel its title. While the plot twists and turns around this unnamed narrator, one of the main story lines Dai develops is the retelling of the “life” of this sūtra, treating the sacred text almost as a character. The sought-after sūtra is given a “back story” all the way to the dissemination of the dharma and relics that were carried across Asia directly after the Buddha Shakyamuni’s parinirvana. The sūtra made its way with the early disciples of the Buddha into China and then, through a miracle, into the possession of An Shih-kao, a Buddhist missionary monk of the second century, CE (who happens to be recorded in Chinese history). The monk left it in a stupa near a temple, signifying the sūtra’s status as a relic. It was rediscovered during the Song dynasty period by the temple’s superior after a lightening strike destroyed the reliquary. The temple superior presented the text to then Emperor Huizong, who passed it on through all the Chinese dynasties up to and including the last Emperor, Puyi, who found the sūtra on a scroll in a trunk of family heirlooms. Puyi took a special interest in the scroll and set about translating it. One side of the scroll bore a colophon in Chinese ideograms conveying An Shih-kao’s biography; on the other side was the sūtra, written in an unknown script, a language that would never reveal itself to Puyi. In a fit of panic, rage and fear, on a secret Japanese flight from his exile to his new rule in Manchuria, the last emperor ripped the scroll in two with his teeth and tossed it out of the aircraft while in mid-flight. From its descent into a desert sand-dune, the partial scroll eventually ended up in the possession of (or the possessing of, for it is quite the same in this novel) a famous French Sinologist named Paul d’Ampère. He painstakingly and lovingly decoded and learned the language used to record the sūtra, a language he called Tumchooq, after which he named his son. D’Ampere was arrested for his possession and thrown into a Chinese prison camp, the partially-translated sūtra lost in the bureaucracy of the growing republic. The unnamed female narrator fell in love with Tumchooq the son and through this love inherited the mystery of the sūtra. This back story does not fully unfold until the end of the novel, and the plot moves along on what seems like a series of coincidences which, from a Buddhist perspective, read more like causes and conditions arising and passing. This novel is comprehensive in scope, in both spacial and temporal aspects. Dai weaves together East and West in this work, much of which is set in China, France, Africa and Asia. While the main action of the story covers a period of time between the late 1970s up to 1990, arguably a period of unprecedented globalization, the author delves back in history to the Buddha’s time (so roughly the fifth century, BCE). In fact, Dai Sijie seems to examine the very idea of history as fact in this novel. He does this in a number of ways. For example, the story of each character is told through some sort of record, be it diary or notebook entries, hidden memoirs, histories expounded from memory, museum and archival documents, legal testimonies, pages of scholarly works recited, etc. Incidentally, these are much the same ways that the partially translated portion of the lost sūtra is passed along until it is fully revealed to the female narrator, at the very end of the novel, through a museum exhibit’s film projection, as if the sūtra only truly existed in the intangible form of memory. Dai weaves everything together so well that when reading the novel I had to carefully discern the creatively factual from the historically fictional. He anchors plot events in historical events such as the flight of Puyi, the last Emperor of China, to Manchuria in 1932 or the major earthquake in Bagan, Myanmar in 1975. He then expands his readers’ suspension of disbelief by extending these historical events past legend and into the realm of fiction. For example, the French Sinologist Paul d’Ampère wrote a fictional scholarly text entitled Notes on Marco Polo’s Book of the Wonders of the World and obviously based on the real historical text by Marco Polo, Books of the Marvels of the World. The mysterious sūtra itself is described alongside other real Buddhist writings such as The Jātakas, the Avataṃsaka Sūtra and its last chapter, the Gandavyuha Sūtra. The sūtra that Dai Sijie creates is, of course, not a real sūtra. Anyone familiar with Buddhist sūtras will note the lack of the opening phrase “Thus have I heard” followed by a description of the setting and attendants of the sūtra. Having said this, Dai has written a novel that speaks to the potency of language, of words, of sūtras themselves which, if copied out or recited (chanted) have transformative, miraculous power. 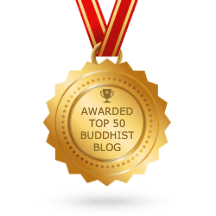 I’m not sure that many Westerners know or have experienced this, because we most often associate Buddhism with meditation. But there are schools of Buddhists, such as Nichiren Shū and Soka Gakkai groups, that do not use meditation as their primary Buddhist practice and take to heart the power of sūtras. (In the case of the two aforementioned Japanese groups, the Lotus Sūtra is foundational). Western readers who have experienced Buddhism mainly through meditation may not resonate with this storyline. Clearly, a novel written around a mysterious (albeit fictional) sūtra will have Buddhist elements, but I think that the more a reader knows of Buddhism, the more Buddhism they will see in this work. For all of the real history used and fictional history created to tell this tale, the lesson in/of the sūtra itself is contemporary, and has import for the modern reader. It is a lesson about letting go, so the next time I read this novel I will let go of my inner academic and lose myself in the sensuous, poignant world that Dai Sijie creates for his reader in Once on a Moonless Night. 2. What did you think of the ending? Was it satisfying? Was it meant to be satisfying?